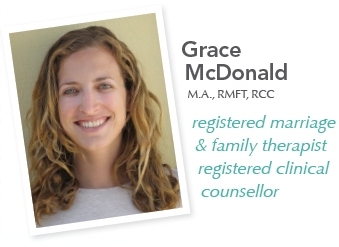 As a Registered Marriage & Family Therapist and Clinical Counsellor in White Rock, British Columbia, I want to support families, couples, and individuals in my South Surrey community. I am passionate about helping people to more positively perceive themselves, their lives, and their relationships. In particular, I provide support and tools in dealing with mood, anxiety, communication, and conflict management. I draw from several theories, tools, but I mainly use Imago relationship therapy. My approach to therapy focuses on increasing self-awareness, self-worth and acceptance, enhancing feelings of control and empowerment, and encouraging greater intentionality in the growth of your relationships with self and others. I believe that therapy is collaborative and ends when you feel you no longer need to come, and we discuss and decide this together. Remember – I offer a complimentary consultation, in person or over the phone, to help you decide whether or not I’m the right fit for your needs and answer any prelimary questions you might have. I look forward to your call!